Colourhex on reverse-sweeps: "You just can't think about it, and I'm good at not thinking"
Boston Uprising are arguably one of the most underrated teams in the Overwatch League. They made it to the quarterfinals of the stage one playoffs before being defeated by Vancouver Titans, and are currently sitting at number five in the overall standings. 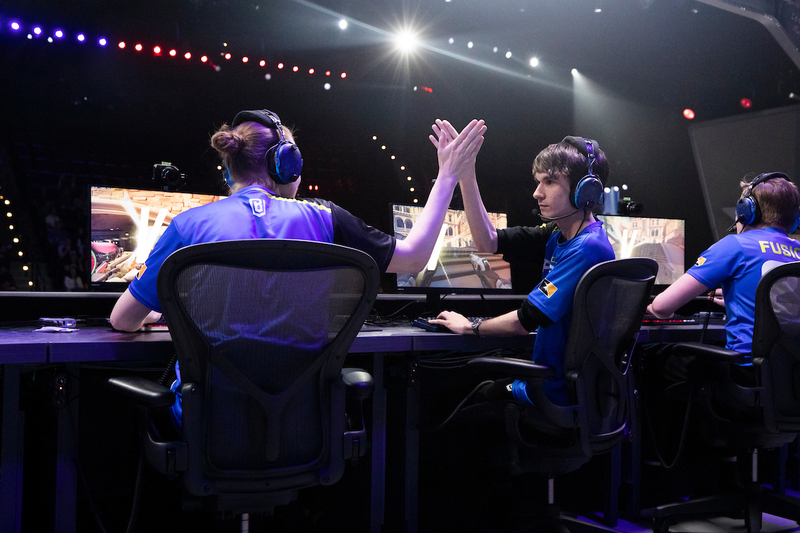 Despite their trade of Lucas "NotE" Meissner for former Dallas Fuel tank Richard "rCk" Kanerva, Boston Uprising have had a consistent start to stage two, keeping up their trend of proving to fans that they are a playoff caliber team. In their first game of the second stage, Boston pulled off a reverse sweep in order to win the series 3-2 against Atlanta Reign. One of Boston’s key players in the reverse sweep was Kelsey "Colourhex" Birse. In Boston’s game against Atlanta, Colourhex’s Tracer plays were crucial in upsetting their opponents and pulling the rug from under them. Colourhex talked to Upcomer about his team’s victory. “I feel like I’ve aged fifty years,” Colourhex laughed when discussing how he felt during Boston’s last few games. As of their victory against Atlanta Reign, Boston now have the most reverse sweeps of any team in OWL, but this inconsistent win/loss pattern comes with its stresses. Colourhex states that in order to keep his focus and composure when they’re down 2-0 in a game, he doesn’t think about it and “pretends it’s just the first match,” because, “If you think about those things, it’s all in your head while playing, and you’ll choke,” and as he admitted himself, he’s good at not thinking. Even when approaching the fourth game, the DPS player says the key to remaining calm is to treat the game like a scrim in order to relieve some of the pressure. Colourhex goes on to say that although the other team are more likely treating it as a match with a lot at stake, for him, treating it as a relaxed, familiar scrim prevents him from making the mistakes that he would if he focused on the “money and map score,” while still putting in 110 percent. While discussing his amazing hold on Oasis as Soldier 76 during the last game against Atlanta, on the topic of his strategy when playing as the only DPS against four tanks Colourhex said, “It’s more like, we’re at a disadvantage and it’s clutch time. You need to win, so just go hard, that’s all there is to it. Just do as much as you can.” This was just one of the outstanding plays that the New Zealand native made during the series, another of which included dodging the enemy’s Wrecking Ball at only 28 health. He values the independence he feels with Boston Uprising, as the team has a very open dynamic in terms of being honest about feedback. Despite not having any experience with other teams to compare it to, he says that Boston are like a second family. One aspect of the Overwatch League scene that was a big topic of conversation last season was scrim schedules. Colourhex revealed that one thing Boston learned from last year is that having a lighter scrim schedule is better than having a heavy one and burning out. And even without practicing for eight hours a day, Boston still ended the first stage in a good position, but they have big goals for this stage. Colourhex expressed his opinion that unfortunate circumstances were responsible for Boston sitting in the “middle clump” of the leaderboards. Because he, himself, didn’t play the first couple of games, and then Cameron "Fusions" Bosworth missed out on a couple of games, it may have thrown the team off-balance slightly, despite being “really close to the third/fourth spot” at times. It is too early to determine if something within the team has to change, and they’ll be using stage two to judge whether it’s time to take action or not. HIs DPS skills played a key part in Boston’s reverse sweep against Atlanta last week. One of his biggest strengths is his flexibility in terms of being able to play numerous DPS heroes to a high standard. When asked which hero, out of Pharah and Widowmaker (two of his commonly used heroes), is more useful in the current meta, he hesitantly said Widowmaker, but for that specific series, he chose Pharah. This was simply due to the fact that some of the maps, such as Eichenwalde and Hanamura, aren’t suited to Widow. Luckily, he had a chance to show off his skills on both heroes this stage, as demonstrated in this clip from Boston’s match against Toronto Defiant. Colourhex continues his explanation by saying, “The amount of outplay and clutch potential with [Baptiste’s] Immortality Field is insane. You can do nutty things like stop a grav combo, hide around a corner for an EMP, and then put it down when the EMP [is executed].” He also discussed a trick he saw involving Sombra’s EMP and Baptiste, in which Baptiste throws his Immortality Field in the air a couple of milliseconds before Sombra EMPs, so that it is not hacked and can keep allies alive. He suggests that the team-oriented meta may be responsible, as there are less 1v6s this season, and a team’s success relies more heavily on their composition and synchrony of the players. This is a skill that Boston have definitely honed, and their bond as a team has contributed to their strong in-game compositions. Uprising are a team that are determined to be noticed, but they want to do it in their way, and fans can be sure that this attitude will continue into stage two. You can next watch Colourhex play for Boston Uprising on Friday April 12 at 5:45pm PST when they face off against Hangzhou Spark. You can watch it on Upcomer.